I’ve been the primary caregiver for my mother forever. She was depressed, had physical ailments, and somehow she always relied on me to help her. I didn’t realize until I was an adult that she could have asked my father, or one of my older siblings, or another relative to help too! She always asked me, and I grew up always responding. Today she is in her 80’s and very frail. I am exhausted and no longer want to be the caregiver I have been all my life. When do I get to live my life? On the other hand, how do I ask for help and support now, when I’ve always been the one to give it? Am I a terrible human being for wanting someone else to step in? The guilt I feel is overwhelming. 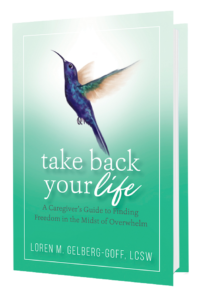 I know you always say that caregivers need to take care of ourselves, and that it’s important to ask for help – so why do I feel like it’s not okay for me to do that? You took on a life sentence before you understood exactly what it meant. Early on in the caregiving relationship, a caregiver feels important and needed. In all likelihood you felt proud of the responsibility placed upon you, so caring for your mom felt rewarding. What’s also true, though, is that when caregiving begins at such a young age your intense focus on the other person’s needs is like being taught that your needs and feelings matter less, or maybe not at all. You may even come to feel that you as a person don’t matter. No one sets out consciously to teach you that, but especially when everything is focused on caring for your mother, that is how a young brain interprets the situation. Today the adult you is beginning to recognize that you need something more in your life. Asking “Is it ok for me to want this? And if so, how do I change it?” is the first step toward taking your life back, so congratulations for being on the path to having what you need and want! You can make changes, and work through the guilt that you feel, so that you can look forward to finally enjoying your life while your mom is still cared for just as well as ever. Changing a lifetime of behaviors is a step-by-step process, because it requires identifying, and then letting go of, old beliefs, habits and fears that have kept those behaviors cemented in place. Inevitably, we feel some tension at first about daring to discard them. And yes, guilt feelings will arise at times – this is all normal. For you to become able to ask for help from others, first look at letting go of the guilt that you describe as overwhelming. Many of us develop a tendency early on to turn guilt immediately into shame, which becomes a powerful habit keeping us stuck always trying to “not be bad.” At even the smallest hint of guilt, we steer clear of any further choices like the one that caused us to feel guilty. So for starters, wanting to ask someone else to step in and help with your mother is NOT wrong! 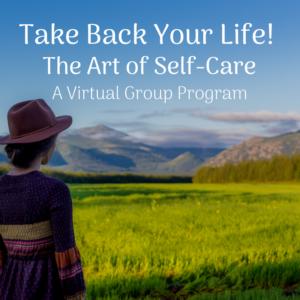 Your feelings of guilt and shame arise because this is something you’ve never done – and since you never thought you could do it, it seems really wrong. In reality, it’s just different from what you are used to. When we do something different, out of the norm and unexpected, our first thought is almost always, “I’m doing something wrong!” If the idea of asking for help initially brings up thoughts that you are weak, failing or “falling down on the job”…breathe slowly and deeply through these initial reactions and thoughts. Ask yourself, “What if that’s not true?” and keep breathing! Once you’ve given yourself permission to make these small requests, you’ll feel more able to take on bigger ones. Remember, you not only deserve this, you NEED this! Remember, this is a beginning – a great place to start, to begin to have some successes under your belt! Keep adding a few requests each week. 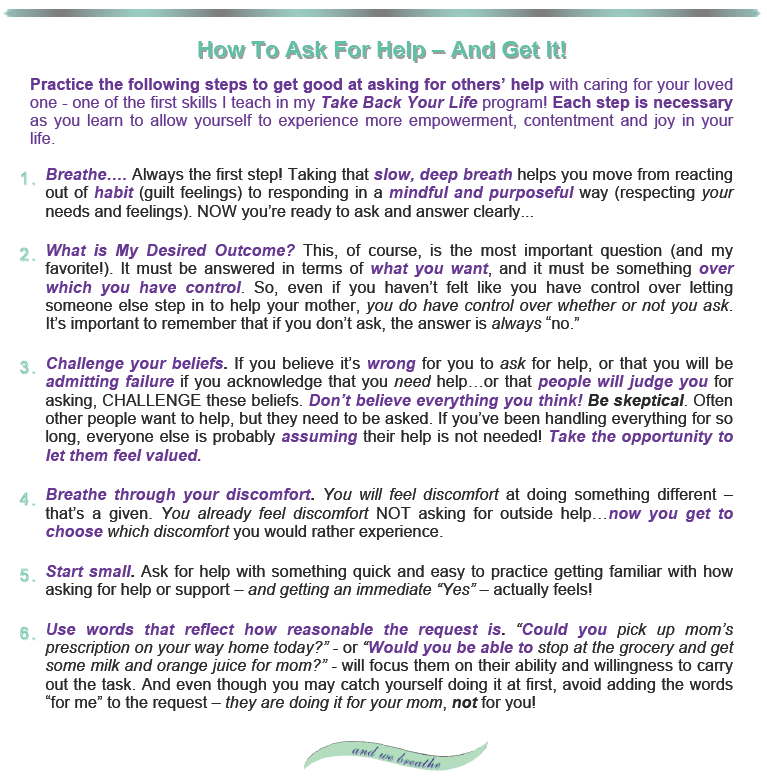 And download my Caregivers’ Step by Step Guide now, and refer to it for more in-depth guidance as you take these first steps to Take Back Your Life. For additional support, reach out to me for a complimentary 30-minute phone consultation – another great way to practice your new skill of asking for help! You do not have to do this alone…and we breathe….